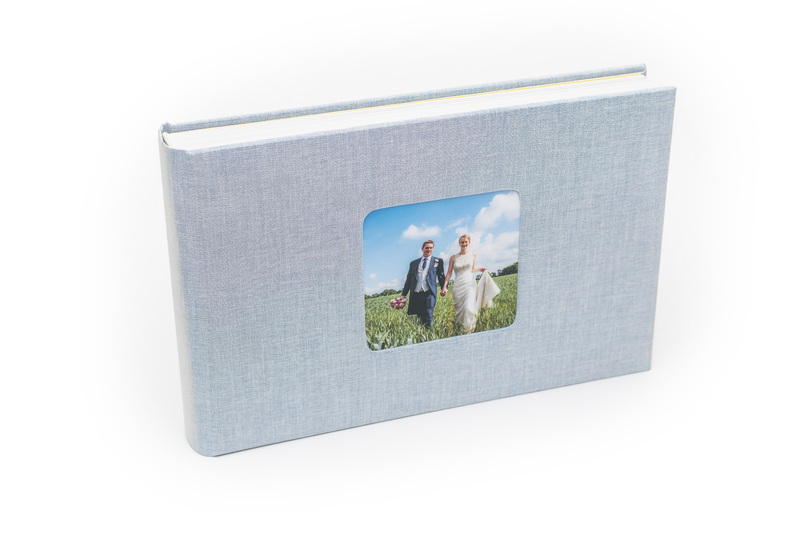 I highly recommend creating a photobook to display your wedding photos. 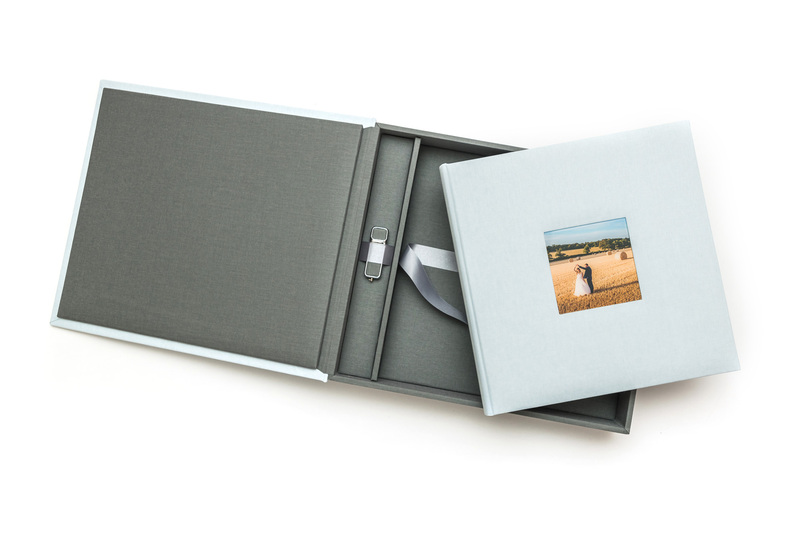 It's a timeless way to enjoy your pictures and the books are designed to last a lifetime. 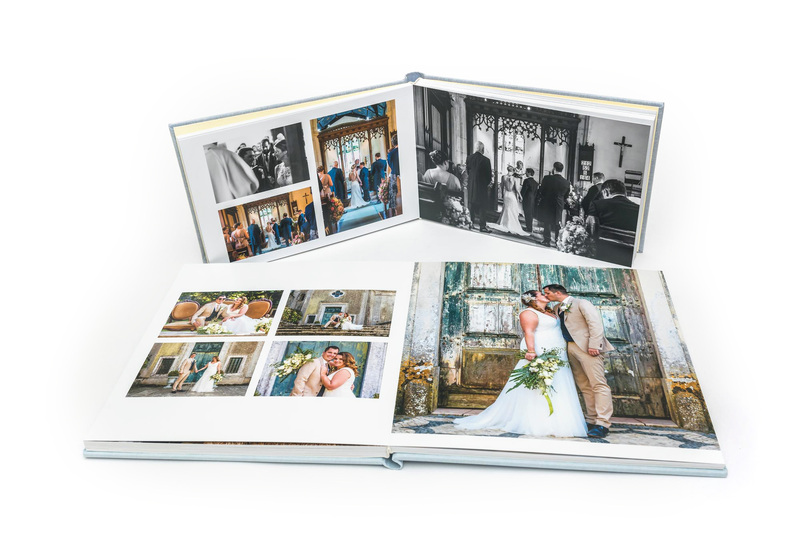 The images are printed on thick photographic card and the pages lay flat for uninterrupted viewing, and the padded hardback covers are both beautiful yet durable. 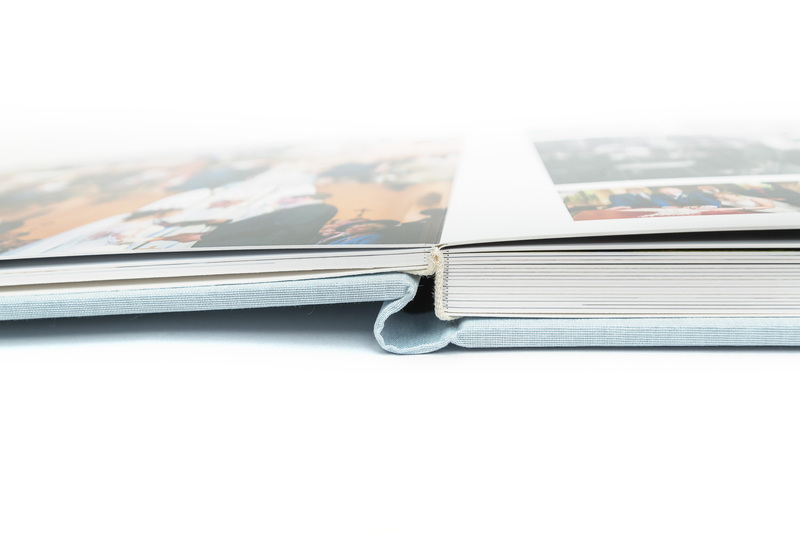 All photobooks come with 60 pages and are available in 12x8" and 12x12" sizes. 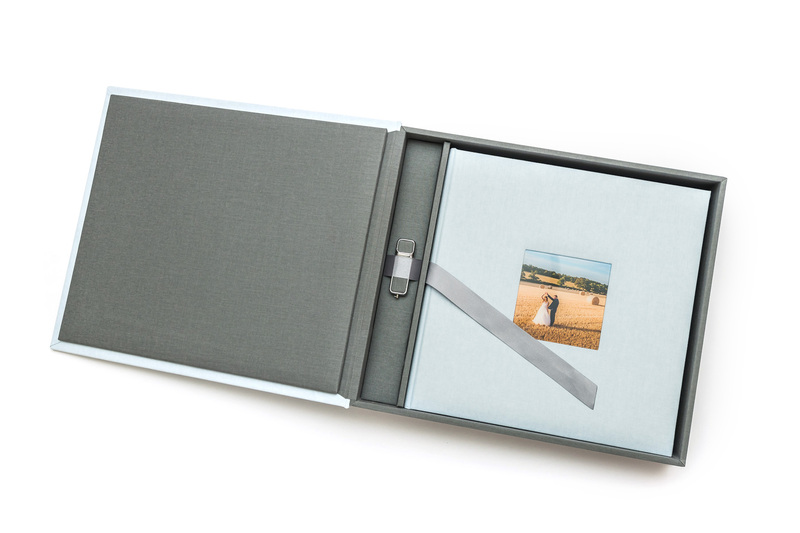 Stunning albums also benefit from a beautiful box to keep them safe from dust and scuffs. 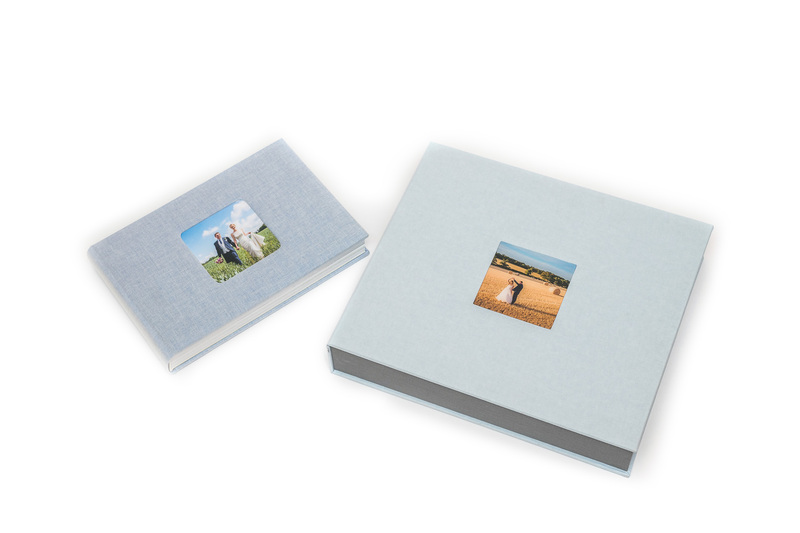 You can choose to include a matching box for your album so it can be kept like new for generations. 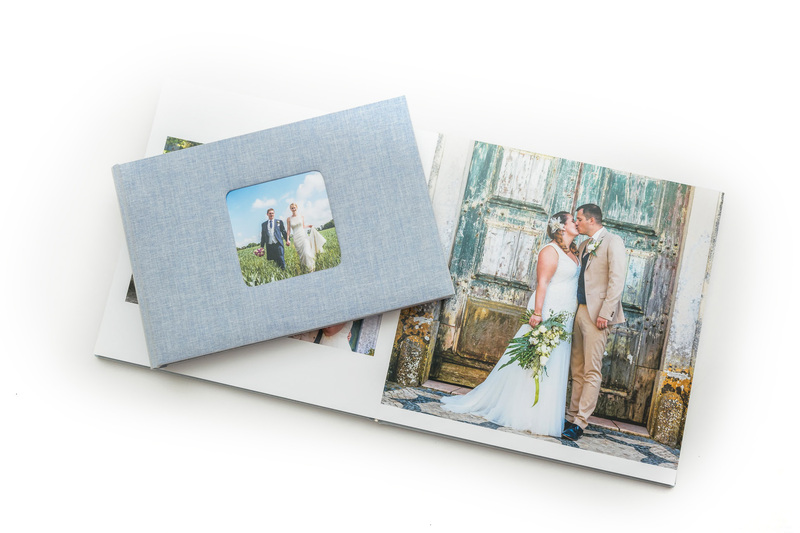 The boxes are covered in the same fabric as your album and include a window for an image on the front cover, and also come with a USB stick so you can keep a digital copy of your wedding photos together with your album. 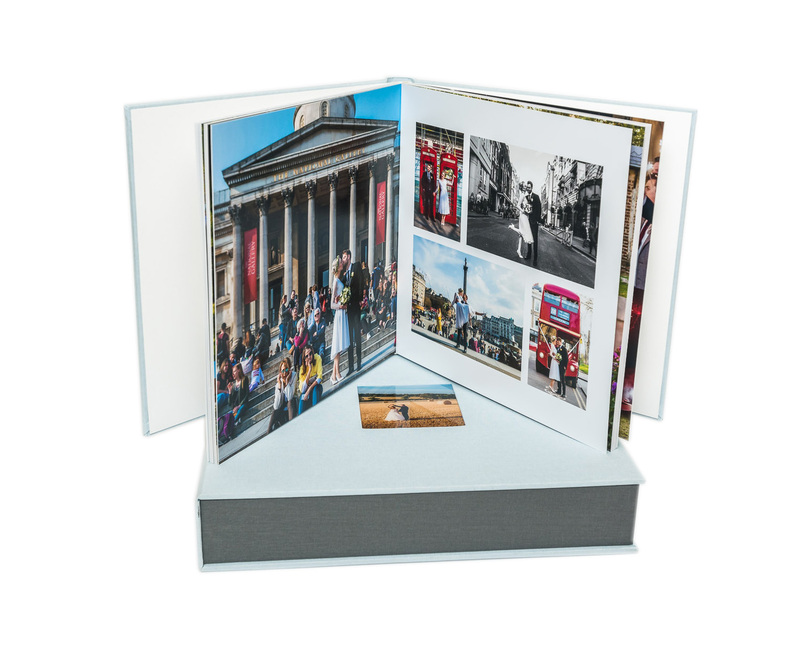 The 60 page premium photobooks can hold up to 200 photos, so you need to select your favourites and I'll take care of the design. 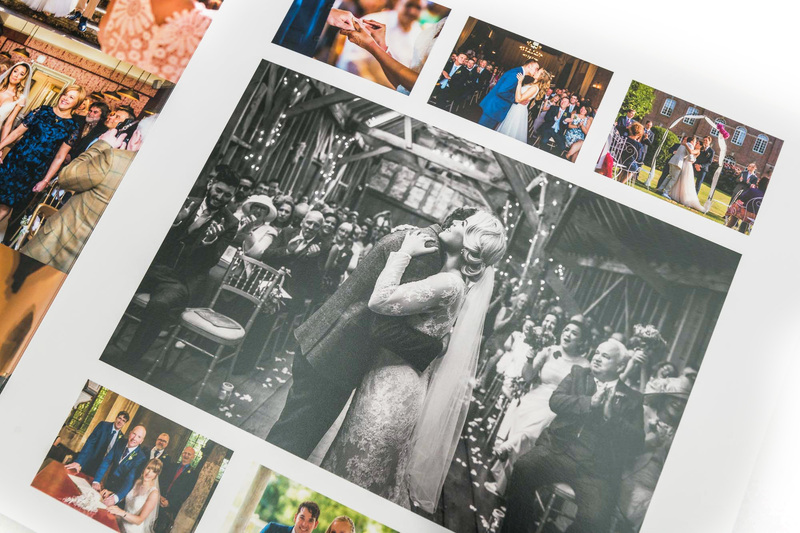 The books are carefully laid out to make the most of your pictures and tell the story of your wedding, and pages can display from one full page image or up to 9 images at a time. 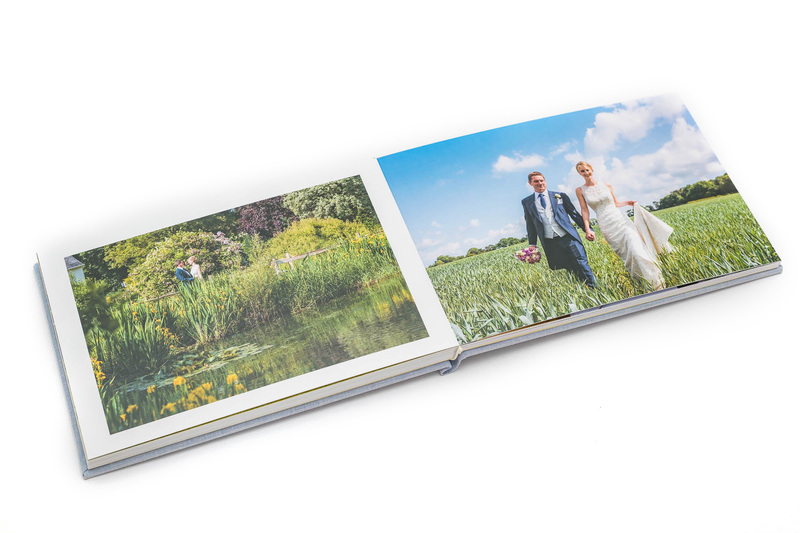 You can choose from 25 different colours for the cover of your photobook to match the style of your wedding. 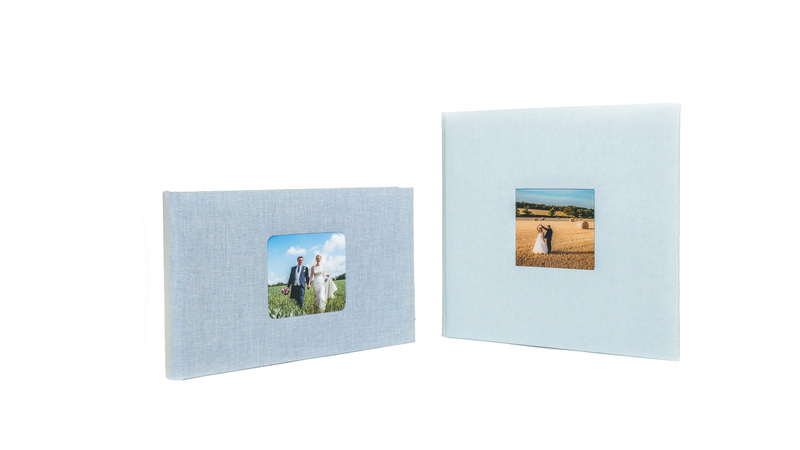 The hardback covers are wrapped with linen and a complementary colour can be selected for inside. 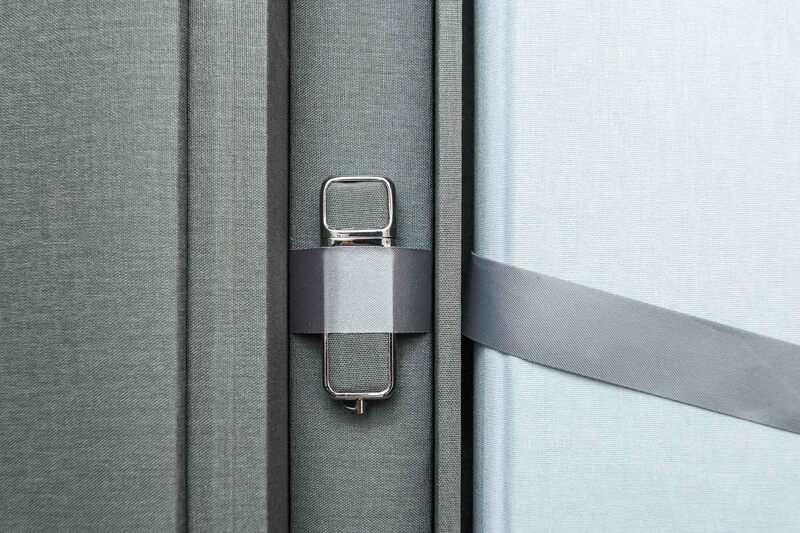 The covers are padded so they sit very comfortably in the hand for the ultimate viewing experience.